Sri Lanka brings you a great gastronomical adventure like no other! With an array of authentic, truly Sri Lankan dishes, cooked with the native spices, Sri Lankan food offers a uniquely Sri Lankan taste. Ranging from quick snacks like ‘isso wade’ to ‘appa’, the menu runs long for standard lunches and dinners serving, sweet and sour bringal, called moju, spicy chicken curry, black tamarind fish – ambul thiyal, together with the coconut sambol, truly Sri Lankan taste. Holidays in Sri Lanka will help you celebrate different cuisines of the different ethnic groups clubbed together to form uniquely Sri Lankan dishes. Classy Tours, as reputed tour operators in Sri Lanka, help you , not just with the adventure, fun filled activities, but guide you through ethnic food, which is a must try. Thus travel in Sri Lanka opens doors, to the abundantly present, mouth watering food for food loving craze tourists. Hoppers which are also known as appa, are an iconic food of Sri Lanka. 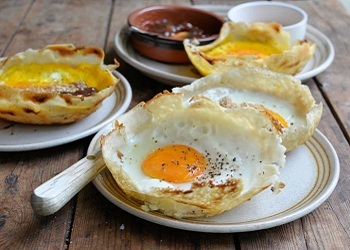 Hoppers can be ordered plain, or even better with a fried egg in the middle. It begins with a simple pancake batter that’s spruced up with coconut milk and a splash of toddy. 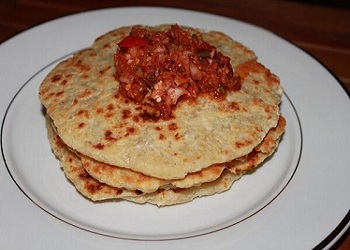 The Sri Lankan Coconut Roti and Lunu Miris (made with onions and chillie) - a must try traditional food, perfect for breakfast, dinner or even as a snack. 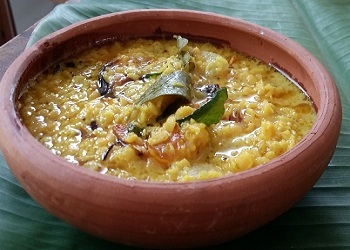 Kiribath is a special type of rice, cooked with thick coconut milk and often served during special or auspicious occasions, such as Sinhalese New Year. There are a few versions of kiribath, but the basic procedure is to start by boiling a pot of rice. 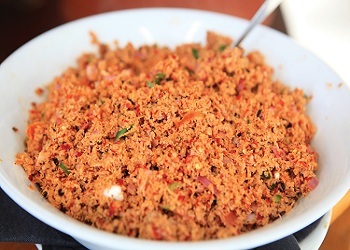 Kiribath can be eaten along with a number of different Sri Lankan dishes, often either sweetened with jaggery or consumed salty with chili sauce or curry. Dhal curry is one of the most commonly consumed staple dishes in Sri Lankan cuisine. The dhal, usually masoor dhal which are red lentils, are often cooked in a beautiful blend of spices, and then a few spoons of coconut milk are added to create a rich stew. This is even more delicious when made in an earthen pot. Gotukola is the word for Asiatic pennywort, a small leafy green vegetable that’s common throughout southeast Asia. 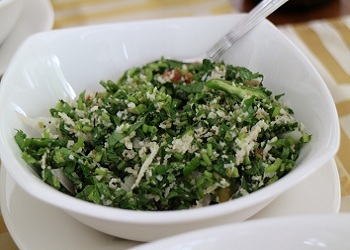 Sambol is the word used to describe a dish or garnish that prepared and eaten using raw ingredients. So gotukola sambol is a basically Sri Lankan salad garnish. This peppery fish dish originated in Southern Sri Lanka as a method to preserve fish. Cubed fish (usually tuna) is sautéed in a blend of spices including black pepper, cinnamon, turmeric, garlic, pandan leaves and curry leaves. 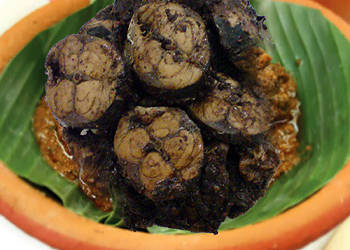 The most significant ingredient is dried goraka, a tamarind-like fruit that gives the fish its distinctive, tart flavour. Jackfruit is eaten in a number of different ripeness stages in Sri Lanka, but for preparing polos, the young, unripe jackfruit is used. This particular version (brown dish above) was so delicious. The fruit is cut into chunks and simmered in a blend of rich spices. 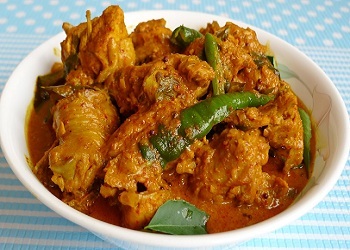 Simple to make, chicken curry is a common household dish in Sri Lanka.There are many variations depending on region and taste preferences. Spices like fennel seeds, cardamom, cloves and cinnamon sticks are tempered in hot oil before being combined with chicken and spices like chili powder, curry powder, turmeric, pandan leaves, lemongrass and curry leaves. 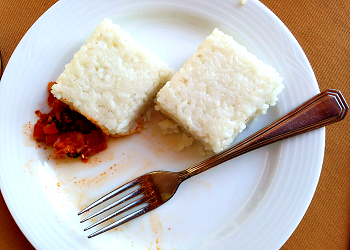 In a country in which the coconut is of supreme importance, there's one Sri Lankan side dish that pays fitting tribute. It goes well with rice and curry, pol roti (coconut roti), a hot paratha, string hoppers or even just scooped up with slices of bread. 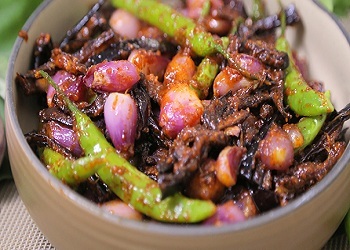 Served mostly with rice and curries, wambatu moju is an extremely flavorful candied eggplant (brinjals) pickle. The eggplant (usually the purple-skinned, long and slender variety) is cut into bite-sized wedges and deep fried, giving the eggplant a crispy texture with a soft and silky interior. Take a bite and the soft and juicy texture of the eggplant should melt in your mouth -- the slightly sweet, sour and salty contrast is absolutely sensational.